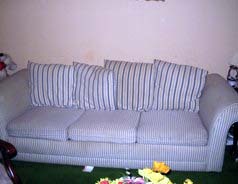 Welcome to the world of David's Custom Slipcovers. 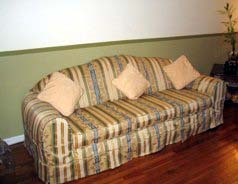 We offer custom made slipcovers made to order for all type of furniture. 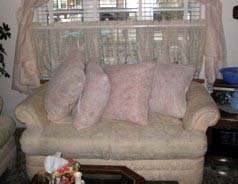 We offer covers (fitted) for practically any type of furniture or cushions in your home. 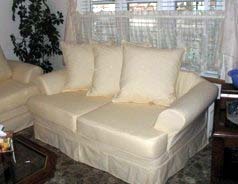 People want slipcovers for different reasons, such as they have pets and / or kids and would like to be able to easily clean their furniture. 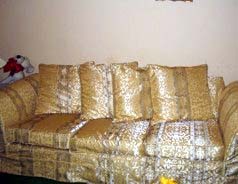 They like the "look" of slipcovers, or they think that slipcovering is much cheaper than upholstery. 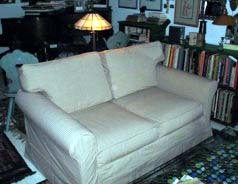 Making a slipcover is not necessarily easier than upholstering a piece and often takes just as much time to do right. Yes! they're finally available, create a family friendly environment with custom fitted slipcovers tailored to fit your own furniture and style. 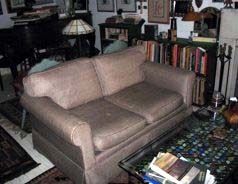 Whether it's a sofa, sofa bed, loveseat, chair, chair and a half, chaise, or sectional, we can slipcover all furniture styles. We have no "ready-made" covers. 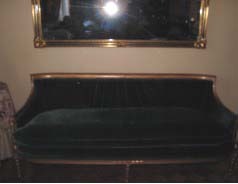 All of David's custom slipcovers are custom made. We recommend that seat cushions come off your chair or sofa for a casual cover to work. 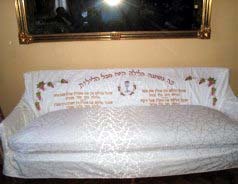 Covers take approximately three weeks to make. Do you have a picture of what you need? Call us, We will custom make it for you! 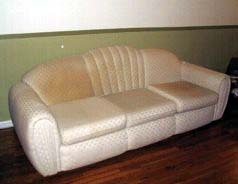 Do you have any ugly couch? Don't throw it away, make it a custom piece of furniture you can be proud of. 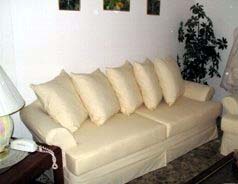 We make custom pin fitted slipcovers. 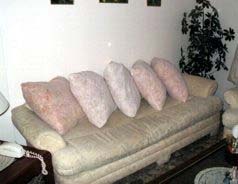 We also do custom cushions. All jobs include fabric, and labor. A 50% deposit is required on all orders. We serve the New York boroughs of Brooklyn, Queens, Manhattan, Staten Island and Long Island.